I read this article and found it very interesting, thought it might be something for you. The article is called At 270 Million, India’s Poverty Equals Illiteracy and is located at https://archive.indiaspend.com/sectors/at-270-million-indias-poverty-equals-illiteracy-75570. An interesting demographic co-incidence is emerging: India now has almost the same number of poor people as illiterate. India has 270 million people below the poverty line (the new poverty numbers released in July 2013) and there are around 272 million illiterate people in the country. Contrast this with 2001: the country had 304 million illiterates and 400 million people below the poverty line. The difference may appear small but the general poverty number for the last 40 years or so has stood around 400 million. And has been evident since the last set of Census numbers came in, women are leading the charge in gaining literacy and thus improving the overall literacy numbers in the country. Now, the big numbers: Census 2011 says that of a total provisional population of 1.2 billion, the population above 7 years (since literacy rates become meaningful only if we exclude children of 0-6 years) is 1.05 billion. Out of this, 778.5 million are literate and 272.9 million are illiterate. 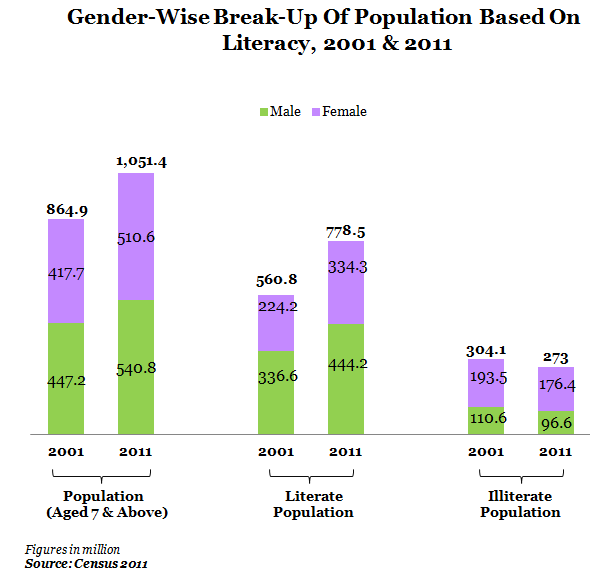 So, literates in 2011 constituted 74% of the population above 7 years as against 65% in 2001. Out of the 218 million literates added during the decade, over 110 million females became literates as against 108 million males. 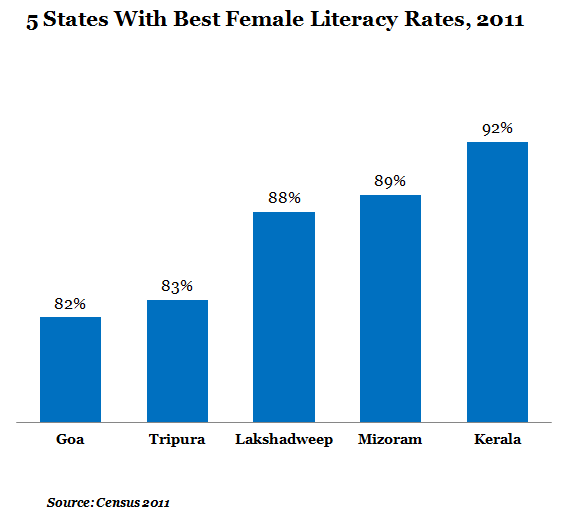 Kerala has the best female literacy rate (92%) followed by Mizoram, Lakshadweep, Tripura and Goa. 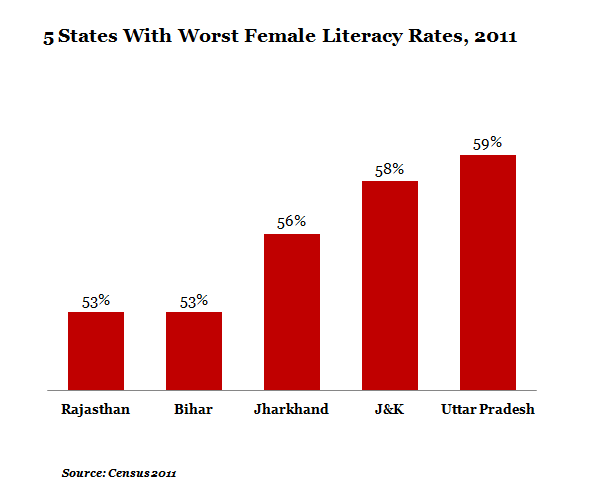 On the other hand, Rajasthan has the worst female literacy rate (53%) followed by Bihar (53%), Jharkhand (56%), J&K (58%) and Uttar Pradesh (59%). 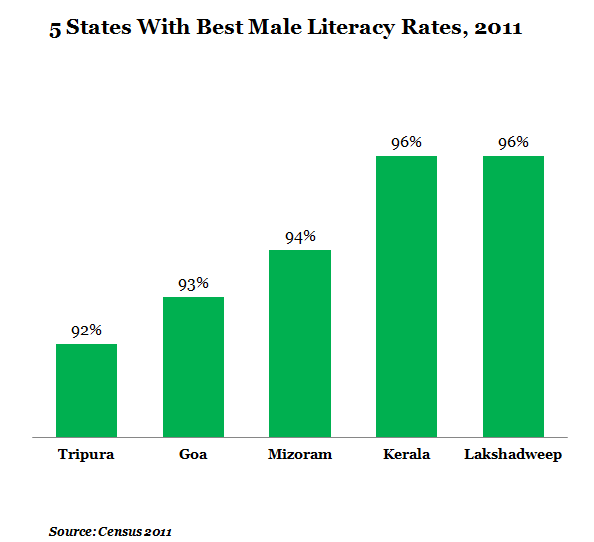 Lakshadweep has the best male literacy rate (96%) followed by Kerala, Mizoram, Goa and Tripura. 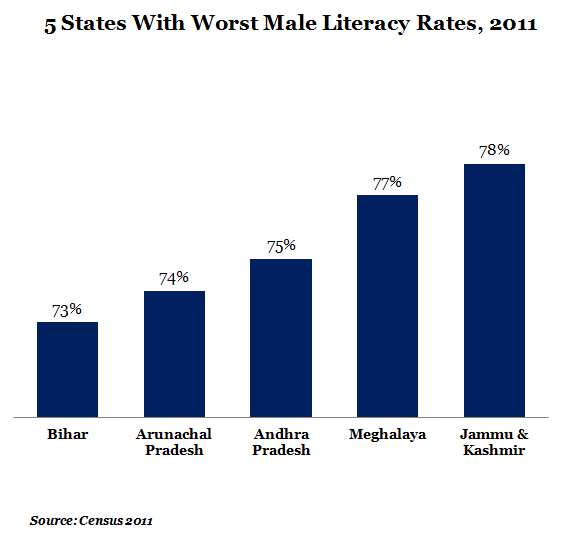 Bihar has the worst male literacy rate (73%) followed by Arunachal Pradesh, Andhra Pradesh, Meghalaya and J&K. 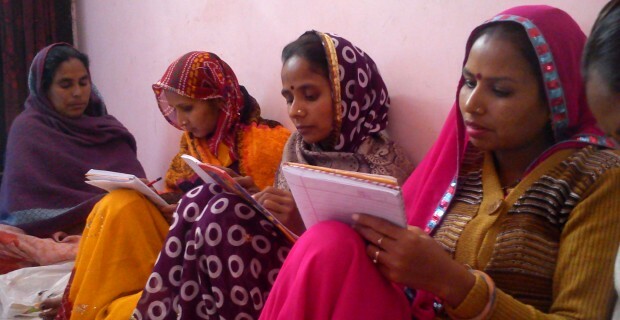 The total decline in illiterates between 2001 and 2011 was 31 million, and here again, it was women who did better: over 17 million women moved out of illiteracy as against 14 million men. The maximum decline has come from states like Uttar Pradesh (7 million) and Bihar (4 million). 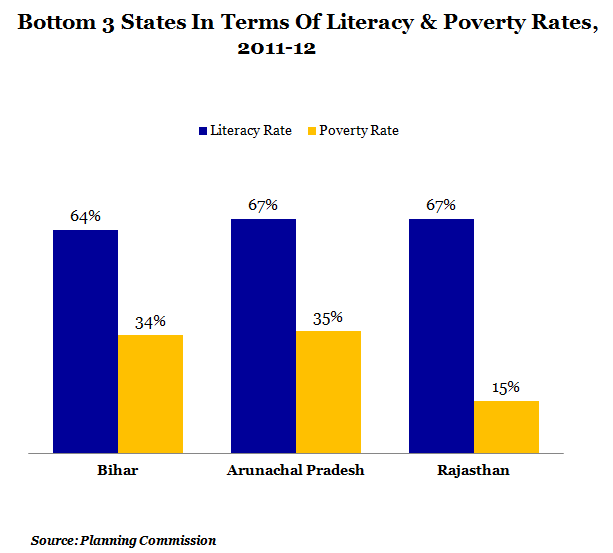 On the other hand, illiteracy increased marginally in states like Rajasthan (3%), Chhattisgarh (0.8%) and Madhya Pradesh (0.8%). Higher literacy, it seems, is leading to higher living standards, if we go by monthly consumption expenditure and poverty data released recently by the Planning Commission. 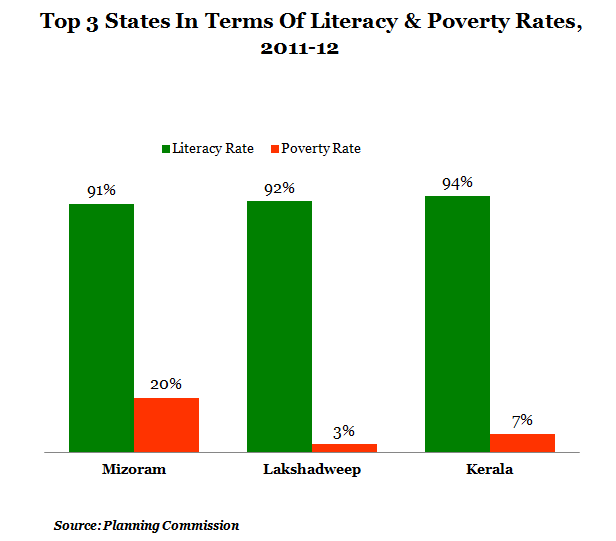 Kerala, which has the best literacy rate, has average monthly per capita expenditure of Rs 2,355 in rural areas and Rs 3,044 in urban areas while Rajasthan, which has the worst literacy rate, has average monthly per capita expenditure of Rs 1,446 in rural areas and Rs 2,207 in urban areas… and only 7% of the population in Kerala are below the poverty line as against 15% in Rajasthan. While this report shows a data correlation between literacy and poverty, it’s of course not claiming absolute correlation between the two aspects. There might be other aspects to improvements in literacy and poverty which we will examine in coming reports. The trend is encouraging, nevertheless.